FBI counter-intelligence agents have arrested a 29-year-old Russian woman on charges she acted as a Kremlin agent while working over the past three years to build relationships in the upper ranks of the National Rifle Association. Maria Butina, the cofounder of the mysterious Russian gun-rights group called “Right to Bear Arms” who recently graduated with a master’s degree from American University, “took steps to develop relationships with American politicians in order to establish private, or as she called them, ‘back channel’ lines of communication,” according to an affidavit attached to a criminal complaint filed in U.S. District Court in Washington on Saturday. “These lines could be used by the Russian Federation to penetrate the U.S. national decision-making apparatus to advance the agenda of the Russian Federation,” the affidavit reads, using Russia’s official country name. She is being held pending a hearing set for later this week, according to a Department of Justice press release. The case brought against her was not brought by Special Counsel Robert Mueller’s team, and it is not known whether it has any connection to the broader investigation into Russian meddling in the presidential campaign. Maria Butina, chairman of the board of the Pravo na Oruzhiye movement, attends a rally at Krasnopresnenskaya Zastava Square in support of legalising the possession of handguns, April 21, 2013. According to Butina’s attorney, the FBI executed a search warrant at her Washington, D.C., apartment in April, and the affidavit states that agents searched her electronic devices, including her laptop and iPhone. In the affidavit, however, the FBI alleges that Butina came to the U.S. under the direction of an unnamed Russian official, who based on the description, appears to be her longtime mentor, Alexander Torshin. A former member of the Russian parliament, Torshin is one of President Vladimir Putin’s closest allies and is now deputy governor of the Central Bank of the Russian Federation. 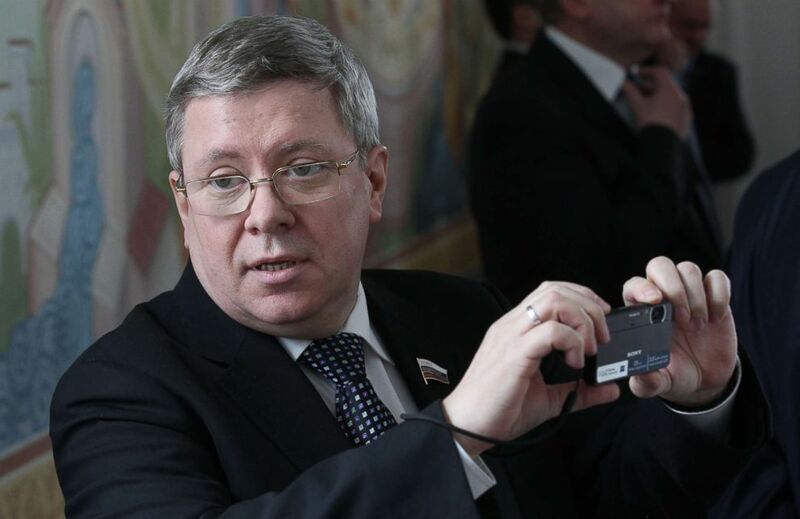 Torshin is a lifetime member of the NRA and -- until this past April, when he was included in a round of U.S. sanctions against Russian oligarchs – a frequent attendee of both NRA events and the annual National Prayer Breakfast in Washington. 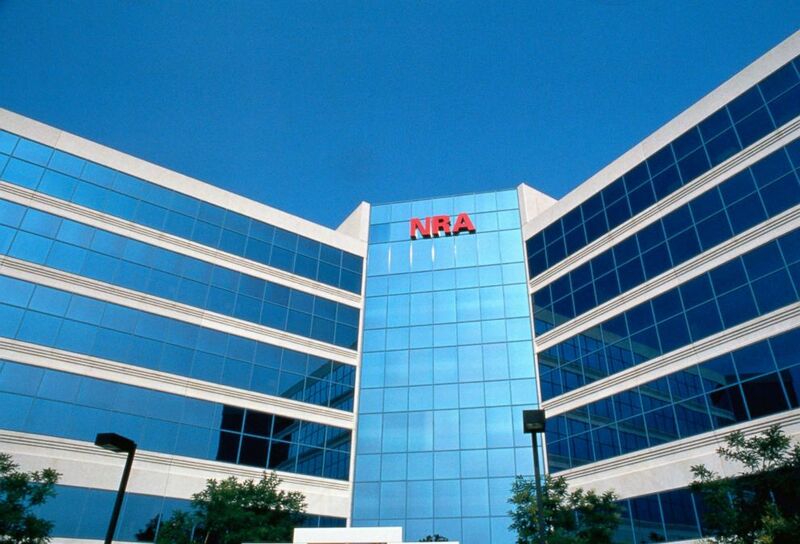 The National Rifle Association headquarters in Fairfax, Va., is pictured in this undated file photo. Torshin and Butina accompanied several NRA board members on a December 2015 visit to Moscow, and Torshin sat at a dinner table with Donald Trump Jr. at the the May 2016 National Rifle Association convention. He and Butina also attended the 2017 National Prayer Breakfast in Washington D.C., where President Donald Trump was the keynote speaker. A White House spokesperson and a spokesperson for Donald Trump Jr. both did not respond to a request for comment. The following year, the U.S. person emailed an acquaintance, saying “I’ve been involved in securing a VERY private line of communication between the Kremlin” and leaders of an unnamed political party through an unnamed gun rights organization. 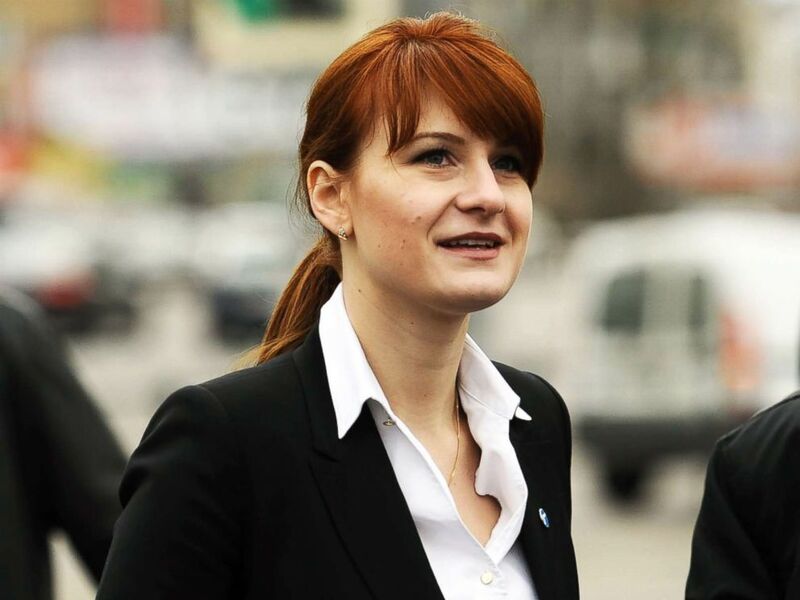 Shortly after, Butina exchanged messages with the Russian official on Twitter, in which they discussed strategy and impressed upon each other the importance of their work. Butina actually crossed paths with both President Trump and his son, Donald Trump Jr., during the 2016 campaign, including a moment at the FreedomFest conference in Las Vegas in July 2015 when she asked the Republican candidate directly about his views on U.S. sanctions against Russia. In recent months, Butina’s close ties to senior officials with the NRA have prompted criticism of the gun rights organization. Sen. Ron Wyden, an Oregon Democrat, led an effort to determine whether Russian nationals donated money to any offshoots of the NRA as part of any effort to influence American politics. The National Rifle Association has denied receiving money “from foreign persons or entities in connection with United States elections.” An NRA spokesperson did not respond to multiple requests from ABC News for comment regarding the charges against Butina. Critics of the controversial gun-rights group pounced on the fresh allegations. “The NRA has avoided explaining its ties to Putin for more than a year now,” John Feinblatt, President of Everytown for Gun Safety, told ABC News Monday. “That should end now that DOJ has charged a Russian national with deep ties to NRA leadership” with trying to infiltrate organizations to advance the interests of Russia. The recent arrest represents a sudden reversal of fortune for Butina. On May 12, Butina she was celebrating, donning a royal blue cap and gown as she accepted her diploma from American University, earning a degree in International Relations.